Rah! Rah! Go Team Go! 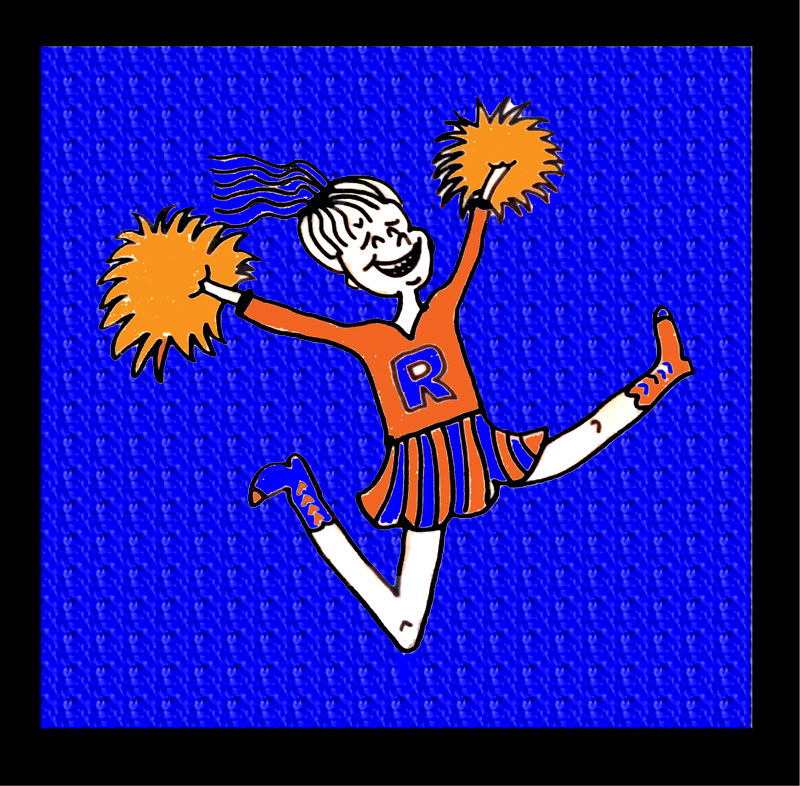 A simple drawing of a cheerleader (as today I need some cheering!) I drew this using a tracing technique, and brought it over into Illustrator did some magic and gave it color, and textures. Nice little ditty! Of course our next assignment was much lighter than the self-portrait. We had to turn it into a cartoon character. 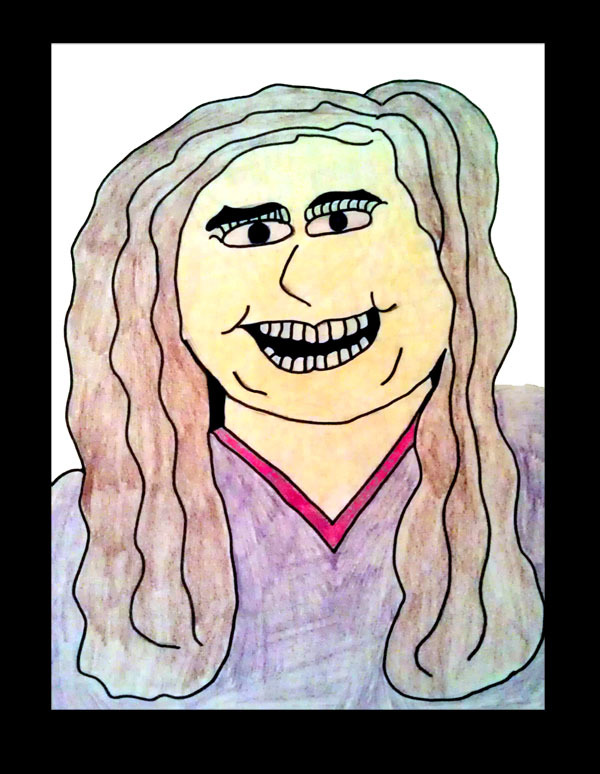 I’ll admit, I don’t think it looks a thing like me.. but I’ve never been a cartoon, well at least not yet!!! 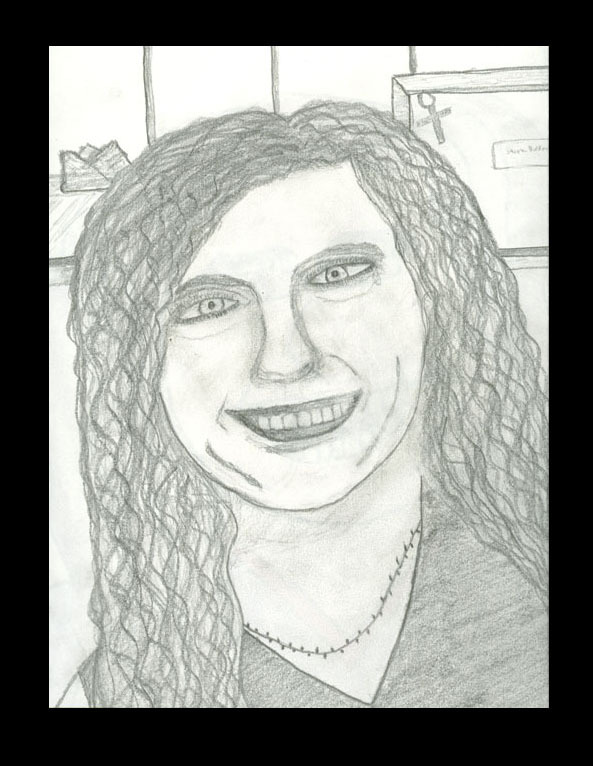 This is a self-portrait that I did for my first drawing class ever. We were charged with creation of a self-portrait and to put three things that mean something to us in the picture. I am wearing my necklace, which was given to me by my sister Jeanne to wear at her wedding which was in June 2004. I was the matron of honor, 2 months after Stephen passed away. That wedding meant so much to me because it helped me realize that marriage was until death do you part, and that I had to accept that part of my life to be over. Hard pill to swallow when all you want is to go back to when life was sweet. In the background you see a box of tissues and my husbands ashes in a cardboard box. I promised him I would take them to his childhood summer get away in Booth Bay Harbor, Maine. It was his maternal grandparents (Ludwig) place, and he was very much happy as a child there. It took Stephen 9 years to get his Mother there (he told me the story many time) so I have 2 more years to do it. It was a very emotional time when I drew this picture, and I can see how much pain I was in. I’m still in pain, and will always feel sad that Stephen had to go. Stephen always carried the pain of his Dad (at 10), Mom (at 25) and Grandma’s death (at 35) with him and it was a root cause of his severe bi-polar. We talked about it often and I sure do understand him more now that I have gone thru the sheer pain of loss of someone you love. It was the single most painful thing I have ever experienced and I got through it alive, however not unscathed. Enjoy everyday you have… this life is a gift of the most pure nature, and it is not something to be wasted or taken for granted. But I am blessed again with love and a life that perplexes me daily. I know he would be happy that I found a way to live on and I continue to follow my dreams and I try not to dwell on it too much (but I still do). I created this after the death of my husband, and upon my return to college. I was pretty down and we had to create a superhero persona for ourselves. 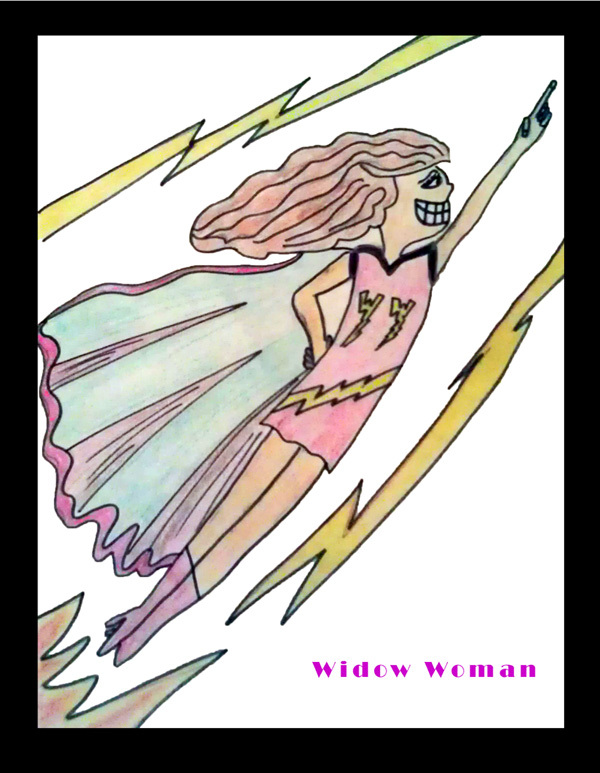 I drew this one afternoon, and I decided to turn into this widow woman every-time I needed help or strength, or whatever it was I needed to get me through the night. It did back fire on me, as I found myself striving for a level of perfection that is just not possible for human kind. It’s best to always be yourself, and believe in the same. You can surely fly, even when your living within your worst nightmare. 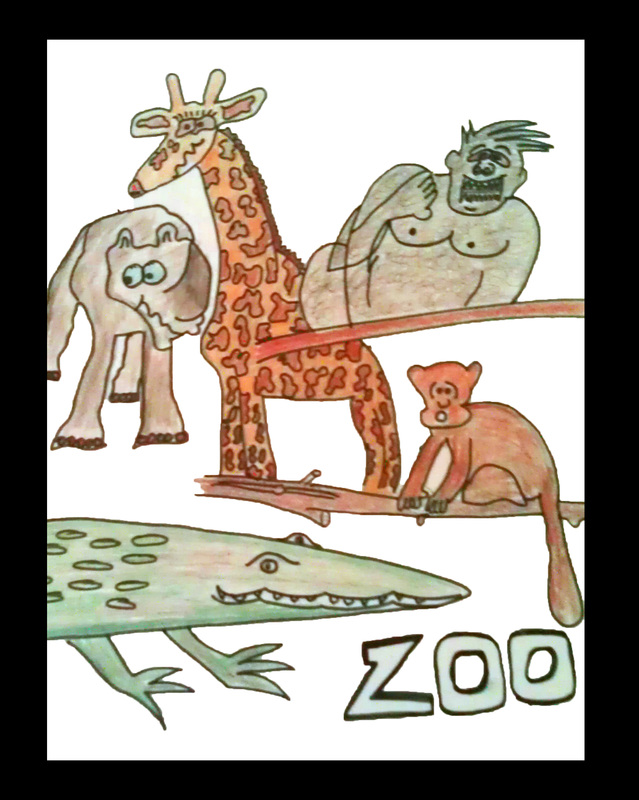 This is a grouping of sketches I did for an assignment that required us to draw free hand, images from the zoo. I really liked drawing these, because they were my real first attempt at drawing animals. I had a few problems, and got a great laugh out of my first professor at Baker College. She thought my rhino looked like it was starving to death, I agree! I love the giraffe, and gator. I think they have real personality coming through the pencil lines. 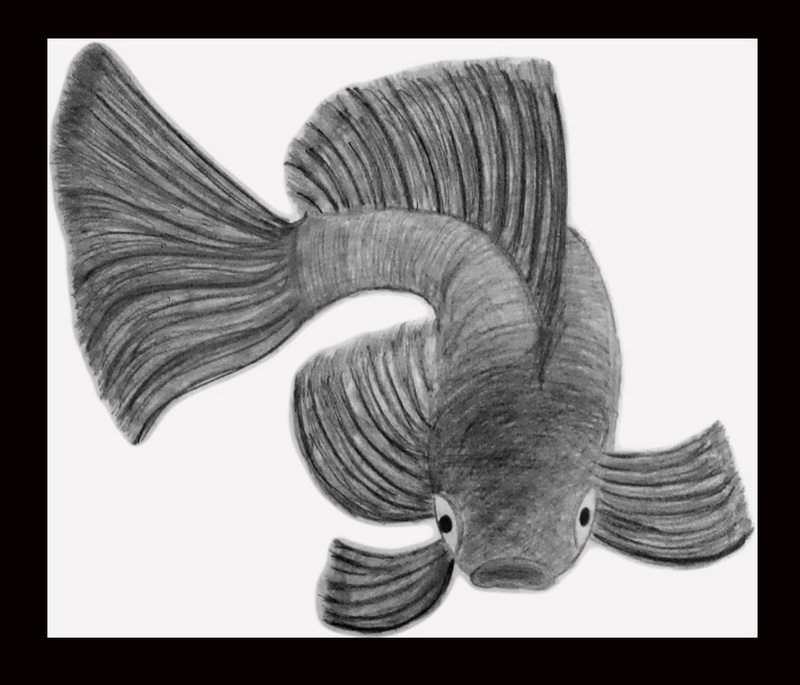 This is a drawing of a beta fish I did in my second drawing class. The class was all about the three-dimensional aspect of drawing objects. The skill of taking an object, and drawing it from the bottom up, breaking it down into smaller parts, perfecting those parts and then re-tracing until it’s just right. I liked my fish, the teacher did not. I like the flow and movement of the fish. My pencil lines are strong, and I like the shape of the fish. I have always had an affinity for Beta Fish, and have had many in my years. 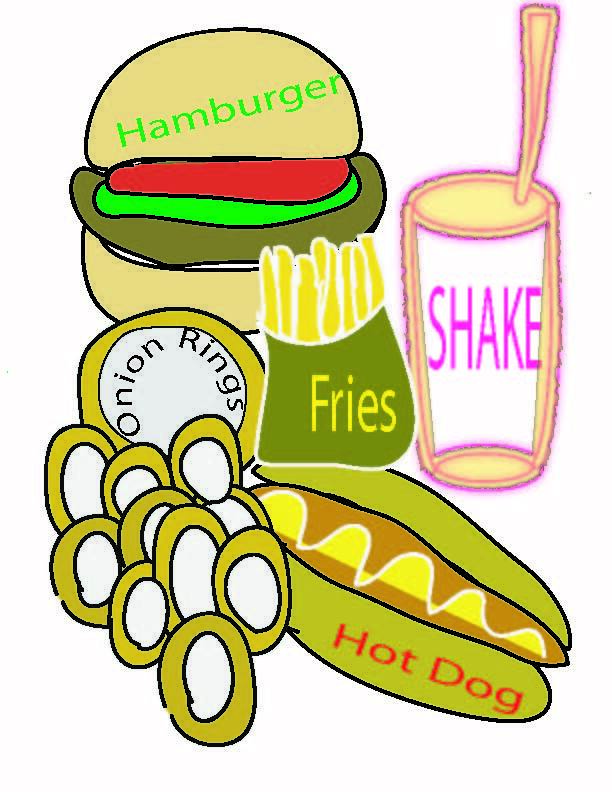 My unique drawing style applied to the fast food I saw in the cafeteria on a day of class. I mostly did this one for fun and I think it was actually the first thing I ever attempted to draw with Adobe Illustrator. I love the program, and its great to create with shapes. The 4 shapes that you can start every object with are; square, rectangle, sphere, and cylinder. With this idea stuck in the back of your brain, you can draw anything if you just start with the basics. This is a class assignment to create a perspective cityscape drawn with markers on white board. 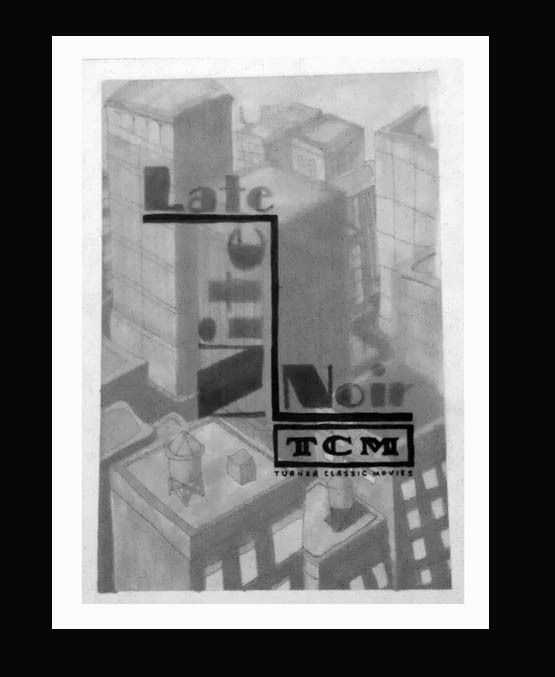 Different shades of grey were used to create a night scene, and then covered with a self-created logo for Turner Classic Movies Late Night Noir. This assignment was particularly challenging because it was a requirement to include street level and rooftop in addition, it is all hand drawn with no ruler. This electrifying idea was part of an assignment to create 50 icon drawings of random things. We were then to take those 50 drawings and choose 10 and then concept a story and show it in a creative way. 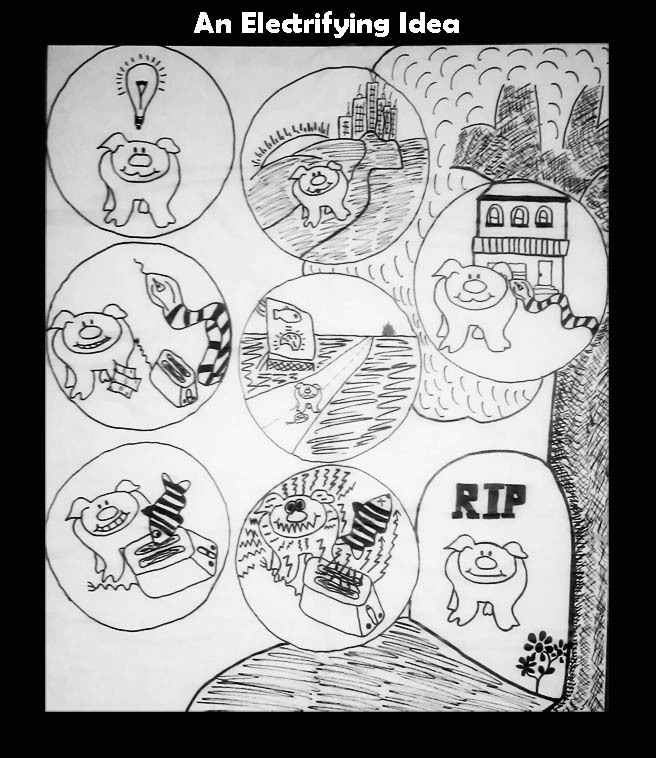 I choose my pig, fish, snake, toaster, apartment building, city scape, sun, a brain, a tree and flowers. This project was a part of my illustrative concept design class work. It is pencil on white board and the originals are 4×6. The assignment was to take our initials and give them action. R is being rolled, L is lazing down the river, and P is popping out of a cake. We assembled our drawings into a little book of initials, and we bound it ourselves. This was my first experience in applied drawing. My professors always say I have a quirky and unique vision in my illustrations. Other Pages In this Blog!